The Koleos, shown, has been a success in China but flopped in Europe. 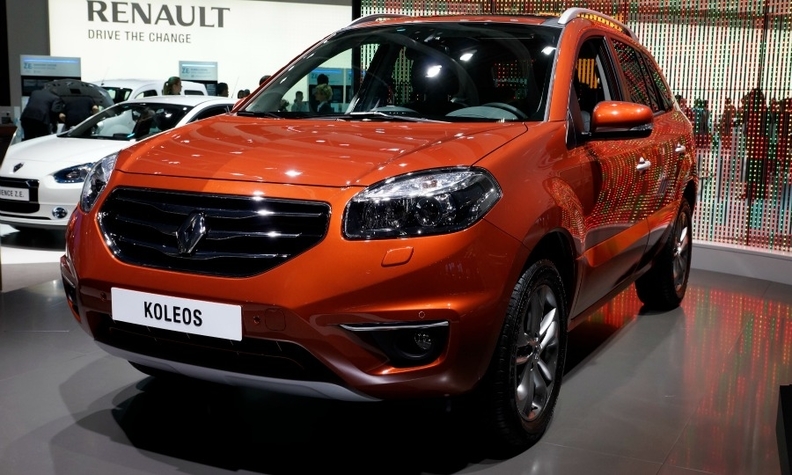 WUHAN, China -- Renault will begin selling a replacement for its Koleos SUV in Europe next year. Unlike its platform sibling, the Nissan X-Trail, the Renault model will not offer a seven-seat version. The SUV's launch in Europe will follow the model's introduction in China toward the end of the year, a company source said. The Koleos successor is likely to be unveiled at the Beijing auto show in April. Renault will build the Koleos replacement at its new factory here, which opened on Feb. 1. The next Koleos will be built at the plant alongside the Kadjar compact SUV, which goes on sale in China in March. Both SUVs share the Renault-Nissan Alliance’s CMF-C/D platform with the X-Trail. The European version of the Koleos replacement likely will be built at the Renault Samsung factory in Korea. The plant currently exports Koleos models to Europe. Renault has already built 50 production prototypes of the Koleos replacement at the Wuhan factory, the plant’s assistant manager, Zhou Chongxue, said. The new, roomier model will sit above the Kadjar in the same way that the X-Trail from alliance partner Nissan is larger than the related Qashqai. However the Renault SUV will be only offered as a five-seater, Renault's chief competitive officer Thierry Bollore said. The current Koleos is a five-seater only. As competition in the SUV market increases, other automakers are offering seven-seat variants to boost their models' appeal. The Kia Sorento and Hyundai Sante Fe have seven-seat options. Bollore did not say why there will be no seven-seat version but reports have said Renault wants to limit potential competition with its crossover-styled Espace minivan that has five- and seven-seat versions. Renault has not said whether the Koleos successor will keep the name of the current model or get a new one. French and Asian motoring press reports said it could be called the Maxthon to distance the new model from the Koleos, which has been a hit in China but flopped in Europe. Renault is considering a fresh name because the SUV will be larger than the Koleos and get a fresh design, the reports said. Ian Fletcher, an analyst for IHS Automotive, told Automotive News Europe, that the Koleos successor will see stronger demand in China than in Europe. "The crossover market in China is growing stronger and customers there want a high-seated vehicle and the status that goes with it," Fletcher said. "Plus, Renault can position the vehicle as a premium model by making using it to make a French fashion statement that could potentially compete against German luxury cars." Renault is betting on the Kadjar and the Koleos replacement to boost sales in China as it attempts to build market share in the country from a low base of just 23,000 sales last year. Without local production, Renault has been a marginal player in the world's biggest market. In a full year, the company estimates the two SUVs will fill the Wuhan plant's current 150,000 capacity, with the Kadjar accounting for larger share of production. China's SUV market expanded by 53 percent in 2015 to 6.9 million vehicles, 28 percent of the total market, according to Renault. Overall China's market grew by 4.7 percent last year. Renault faces a stiff challenge not just from foreign brands but from local automakers, which saw their sales grow by 59 percent to 12.5 million vehicles last year, largely on booming SUV demand. Renault will take comfort from the fact that the Nissan X-Trail is one of the few non-Chinese high-selling SUVs with a growing market share. X-Trail sales increased by 45 percent to 166,385 last year, making it the No. 7 seller in the SUV segment. The only foreign-badged SUV to beat it was the second-placed Volkswagen Tiguan, according to Renault data.